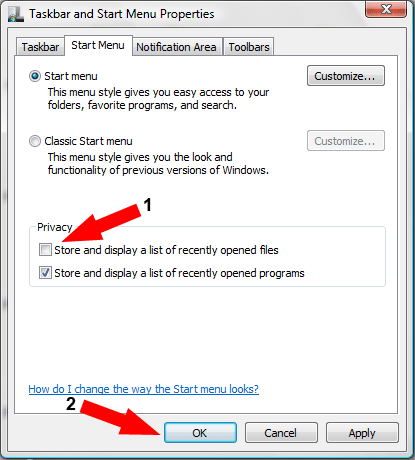 Disable Recent Items: In the following simple solution, I cover the process of Disabling or Hiding the Recent Items List in Windows Vista. There are cases in which one might want to disable remove the Recent Items List entirely from the Start Menu. This Vista Recent Items List is basically a doorway to your most recent activity and maybe you don’t want your recent activity exposed.